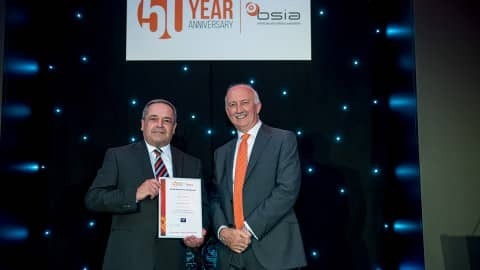 ​It is with a great sense of pride that we announce three SecuriGroup personnel have been formally recognised by the British Security Industry Association, winning individual accolades in the Security Personnel Awards 2017. Charlie Stewart, Erin Jackson, and Steven McKenzie received the BSIA Awards for Outstanding Act, Best Newcomer, and Best Use of Technology respectively. 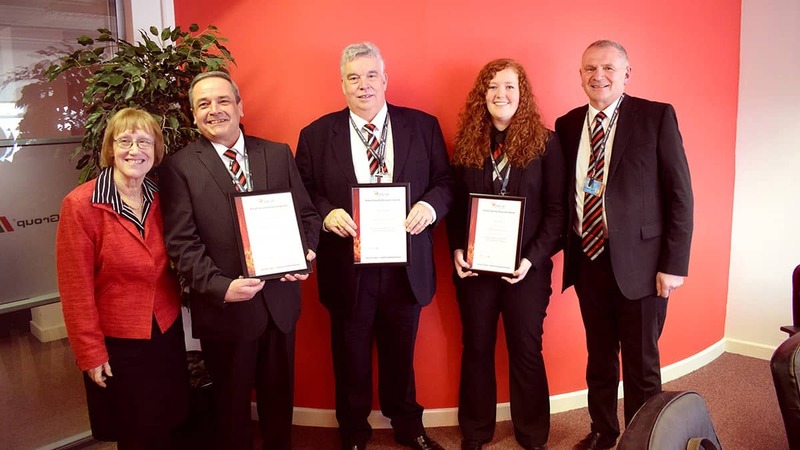 All award winners were invited to attend the SecuriGroup monthly Senior Management Meeting in our head office where they were recognised for their achievements. Charlie was nominated for this award due to his incredible and life-saving actions during the course of his job at a council building in Inverness. In this instance, a person suffering from a serious psychological disorder became severely agitated, armed themselves with a weapon, and posed an immediate risk to themselves and other service providers. Despite the clear and present threat to his own wellbeing, Charlie approached the situation and used his communication skills, sensitivity and compassion to calm the person down, disarm themselves and ultimately resolved the issue. Due to his intervention and first aid skills, Charlie's actions ensured a life was saved. Charlie's heroic actions make him a role-model for other security personnel and highlight the critical role of security personnel and the high pressure environments in which they often operate. We are all very grateful to Charlie, and also to the BSIA for joining us in recognising his achievements. The winner of the BSIA Best Newcomer Award 2017, Erin joined SecuriGroup in January 2016 as a part time event steward. Working with SecuriGroup, her confidence increased in line with her experience as she steadily showed herself to be a valuable member of the team. Steven McKenzie has been working on the FCBC project in Rosyth for five years. The project is one of the biggest procurement exercises ever undertaken in Scotland, with the bridge being comprised of over 150,000 tonnes of concrete, 35,000 tonnes of steel, 23,000 miles of cabling and reaching 207 meters above high tide. Steven's enthusiasm for the role meant he has been able to develop a true understanding of how each type of technology ensures the overall safety and efficiency of the project. Despite the enormity of the project and complexity of the technology, Steven always displayed a 'can-do' attitude, willingness to learn and commitment to the safety of all. ​SecuriGroup is proud of all the individual staff members who go that extra mile every day for our client, and embody our Company values of Loyalty, Integrity and Professionalism at all times. Congratulations again to Steven, Erin, and Charlie.